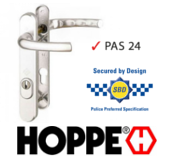 Described as 'the most secure lock ever made' the Ultion cylinder has never been beaten in any test and achieved all leading security accreditations. If you are going to rely on any lock to protect your home make sure it is Ultion. Ultion Keycap - Customise your Ultion key with many colour combinations to chose from. Lution Graphite Lock Lubricant - Dries into a film to stop the build up of dirt and dust, and preventing any jamming in your lock. 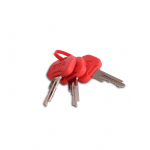 Keyring for Ultion Keys - Track your keys anywhere.